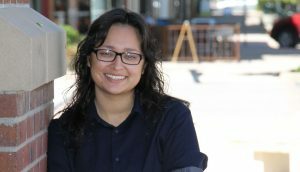 Greeley State Rep. Rochelle Galindo, on the verge of a recall election for her vote to kill energy industry jobs in her own backyard, is promoting a bill that she sponsored to create a welfare office to cater to coal industry workers who lose their jobs because of Obama-era energy policy. Under HB19-1314, a so-called Office of Just Transition will start giving handouts in 2025 (huh? good luck the next six years) to displaced workers who were laid off from shuttered coal fired power plants, as well as anyone who worked in the supply chain for these critical base load electricity producers. The bill also provides a mechanism to issue state grants for “economic and workforce development projects,” much of which will surely be wasted because those programs are notoriously inefficient. It doesn’t appear that Galindo has any plans to lay low after casting a vote to inflict economic hardship on so many of her constituents. It actually looks like she is doubling down and rubbing noses in her ill-advised policy making. They don’t want to be coddled, talked down to, taken care of, or anything else that you and your party’s welfare-state constituency hold dear. But pretty soon, one thing that they will really want – and want it bad – will be your removal from office.